Drop — How do I scale a recipe? You know those times when you are running low on flour or sugar but still want to make cookies? Or those times when you are having people over and want to make a larger batch than the recipe normally yields? 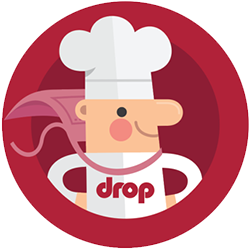 Not a problem, the Drop Recipes app has you covered and offers both scaling by ingredient weight and by number of servings. To scale the recipe by what you have available of an ingredient, just go to the Prepare section of the recipe and tap on the ingredient you want to adjust the recipe by. Note: This method works just as well if you want to use more of an ingredient than the recipe calls for.